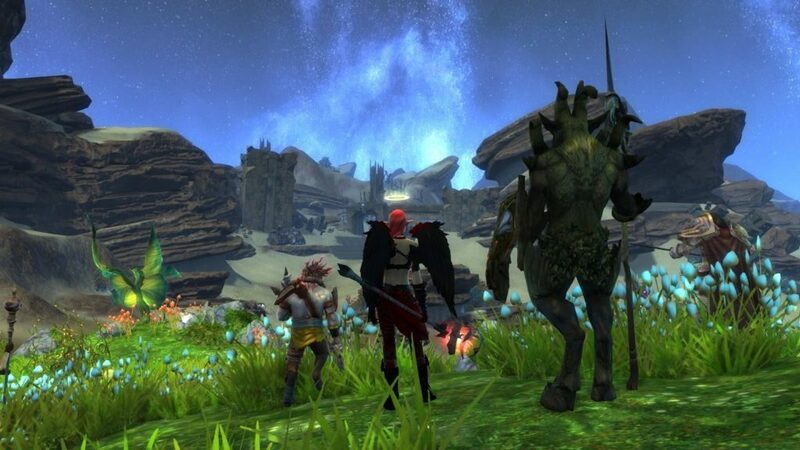 Rift is a free to play 3D MMORPG by Trion Worlds. As one of the most critically acclaimed MMORPGs out there, Rift constitutes an epic fantasy adventure, evolving in the magical, diversified and dangerous world of Telara. Heroes fight against evil hordes of enemies throughout this vast and majestic game universe and you will play a leading role in restoring peace to the troubled land. Rift provides players with the freedom to choose from scratch, the way they prefer to play the game and gives the option to engage in large-scale confrontations either within the open world or within PVP warfronts. During your quests, you will travel from Telara to the borders of the known world and far beyond; to alternate dimensions and foreign realms. You will choose your preferred faction between Guardians, the chosen of Telara Gods representing the source of light confronting all darkness, or Defiants, who blame Gods for their world’s disaster and love mixing magic and technology to create power, foster innovation and culturally progress. Upon making their selection, players will decide about their race and Calling, thus becoming a Warrior, a Cleric, a Mage, a Rogue or a Primalist. If you prefer to skip and head into battle, then you can choose one of the predefined profiles and engage into instant action! With the use of the innovative “Ascended Soul” system and its Soul Trees, you will be able to customize and build your perfect class, since you are given the freedom and power to fully experiment, in order to discover your path of preference combining hundreds of unique skills and abilities. On the gameplay and presentation side, Rift offers amazing graphics and greatly addictive action elements. By selecting “Instant Adventure” mode, you will start fighting in seconds with various diversified tasks and challenges. If you prefer open world exploration, Rift offers dynamic events and invasions, always providing something new. Strongholds and Onslaught special battle modes can further spice up your experience providing alternative tactical fighting scenarios. Finally, there is a brilliant PVP system including multiple game modes in instanced battlegrounds. Proving yourself as a capable Hero, you will manage to unlock high prestige items and earn special gear and achievements. A beautiful flavor comes out of the exemplary mentoring system, allowing players to scale up or down in order to aid a lower level player or play with friends who may have progressed further in the game. Harvesting and crafting skills are also present, so you will be able to choose professions, excel in gathering raw materials, craft or enchant items and of course trade. Finally, if it just could not end here, Rift also supports fully customizable player-created Dimensions, allowing you to build your own game environment with anything you can dream. Surely, Rift is not a game to miss and is definitely worthy of your attention! Graphics Card: Nvidia GeForce FX 5900, ATI/AMD Radeon X300, Intel GMA X4500 or better.